75KV high voltage cable is an important part of medical X-ray machine.With the improvement of medical equipment automation, medical equipment electronic device has higher requirement about the quality of the input and output signals, and small medical equipment volume to more precision, more than functional units operating space and the complication, as an integral part of transfer and connection medium high voltage cable, high performance, high diffusion, is increasingly demanding high elasticity. 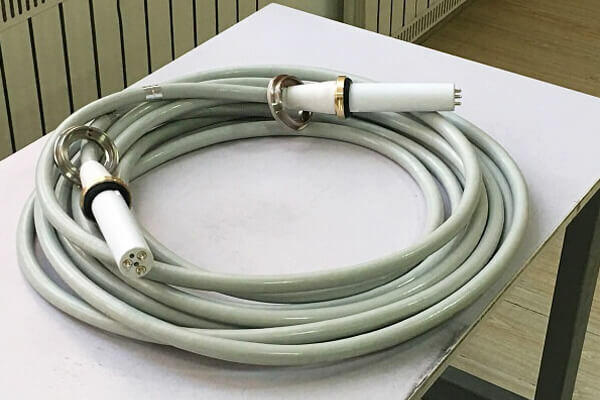 Newheek provides a highly flexible medical data high voltage cable. From the choice of component materials to the design of the structure can fully meet the market requirements. Its 75KV high-voltage cable features, including multiple strands of finely twisted bundles of ultra-fine silver-plated copper conductor extruded wrapped with a layer of high elastic PVC insulation layer of insulation core, also including radiation fiber fabric coating layer. The elastic sheath of the cable provides excellent protection to the internal structure. Our 75KV high voltage cable conductor has good bending resistance and high softness. Newheek 75KV high voltage cable is suitable for different types of X-ray machines. What configuration does the HV cable for 500mA X-ray machine need?